The Pediatric Flow Meter Accessory Kit adapts Invacare Oxygen Concentrators for low flow usage. This means, with this special oxygen flow meter, you may now use the most efficient oxygen modality for pediatric applications. 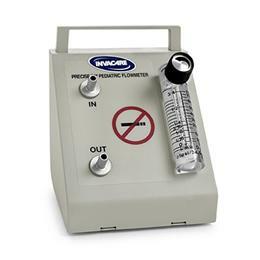 The PreciseRx Pediatric FlowMeter is easy to use and install, and requires no tools! The Pediatric oxygen flow meter is adjustable and very precise.